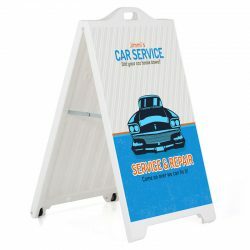 Sidewalk signs can be writable or can come with frames to secure signs. While they cost less, they still look elegant when placed on pavements. 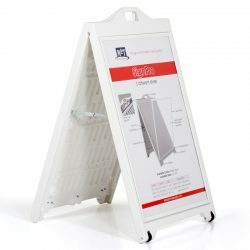 They are designed to withstand moderate to heavy foot traffic. 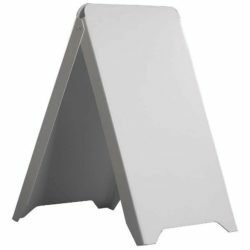 These signs can tolerate crowded areas as they are not easily toppled over. The advantage of investing in sidewalk signs is its re-usability. The frames allow graphics to replaceable with ease. 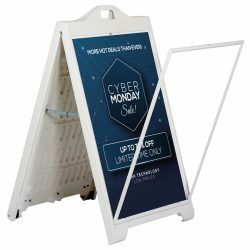 They can also be displayed indoors, along mall walkways, subways and other places where foot traffic is normal.